Our Charity Quilt is ready and looking fantastic for this year&apos;s Islay Show. As yet unnamed, the design features Islay at its heart surrounded by representations of flying geese and mariners compass points. To be in with a chance of winning this fantastic piece of Islay craft, you just need to get yourself a ticket for the Grand Raffle, or several! Don&apos;t forget there are also a fantastic range of other prizes, including Islay and Jura Malt Whiskies up for grabs. Tickets can be purchased from our Shop in Islay House Square, from members, or from our stall on Show Day. The Charities this year are Ella Edgar&apos;s Highland Dancers and the Islay and Jura Scouts. 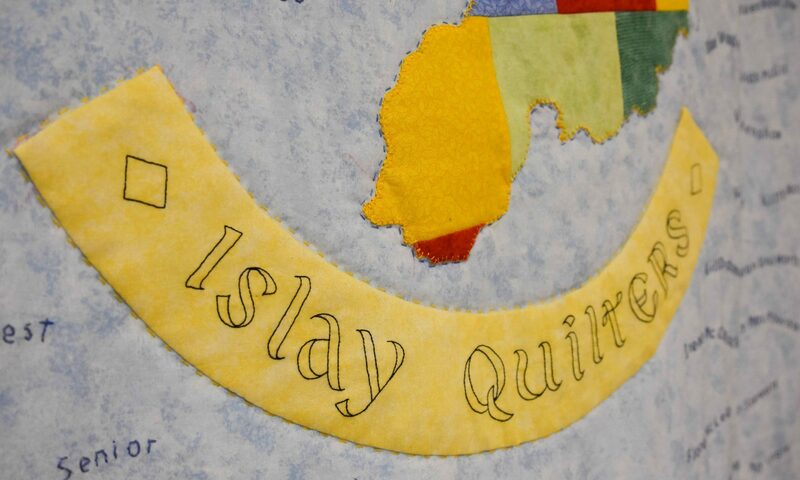 We&apos;ve raised over £12,000 for local causes with our Charity Quilts, thank you for your support and we hope you can do us and Islay proud this year too.